Welcome to another super fun and easy summer boredom buster for kids! Today we’re making a leaf collection book, complete with leaves! Nature items to collect, we chose leaves, but you can collect all kinds of fun things! Stack paper together and fold in half. Staple along edges, or hole punch and tie pages together with ribbon. Decorate your nature collection cover. 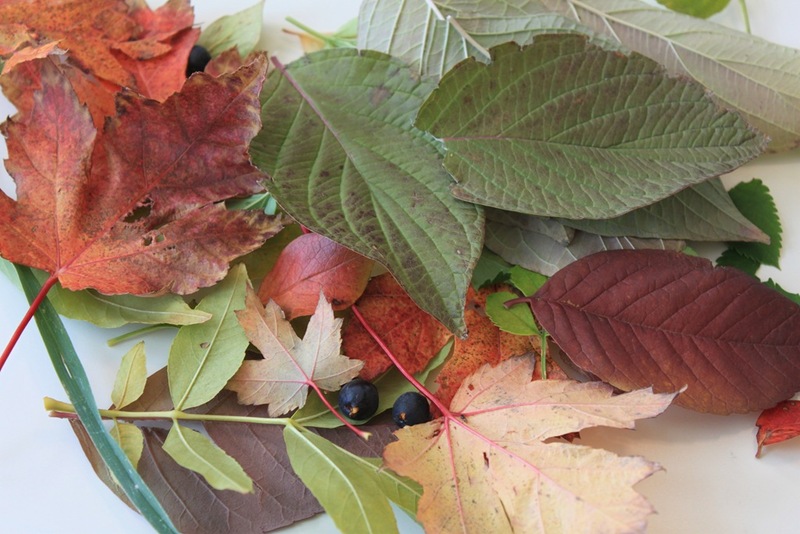 Go for a nature walk, and collect various leaves, berries, etc. Come home and glue the items into your nature journal. See if you can look up what type of leaves they are, or what kind of tree they came from and label them in your journal. To preserve the journal, stick a piece of clear contact paper over your leaves. This will help them from drying and cracking into a billion pieces. Enjoy your new nature journal!